The IRS on April 9, 2018 in a press release reminded U.S. citizens and resident aliens, including those with dual citizenship, to check if they have a U.S. tax liability and a filing requirement. At the same time, the IRS affirmed that anyone with a foreign bank or financial account to remember the upcoming deadline that applies to reports for these accounts known as the annual Report of Foreign Bank and Financial Accounts (FBAR). Here are some of the key points of the press release and our comments. The deadline for filing the FBAR is the same as for a federal income tax return. This means that the 2017 FBAR, Form 114, must be filed electronically with the Financial Crimes Enforcement Network (FinCEN) by April 17, 2018 (see below why this deadline for the 2017 tax year is not April 15th). FinCEN grants filers missing the April 17th deadline an automatic extension until October 15, 2018, to file the FBAR. Specific extension requests are not required. 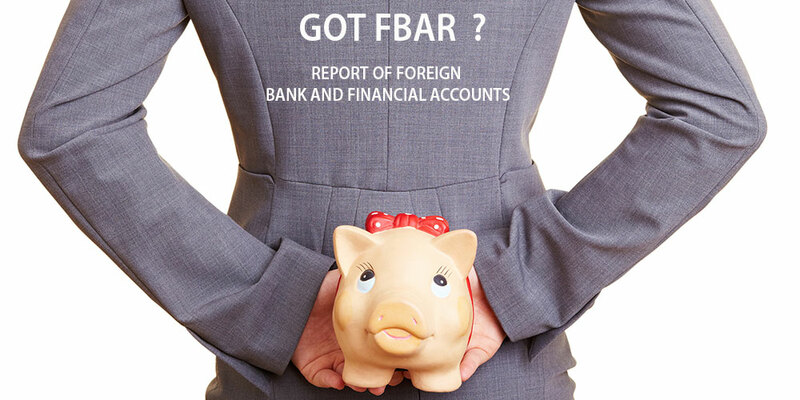 In the past, the FBAR deadline was June 30th and no extensions were available. In general, the filing requirement applies to anyone who had an interest in, or signature or other authority, over foreign financial accounts whose aggregate value exceeded $10,000 at any time during 2017. The form is only available through the BSA E-Filing System website and must be filed electronically. There is no paper filing option. The IRS will continue to use streamlined filing compliance procedures but as with OVDP, the IRS said it may end the streamlined filing compliance procedures at some point. Regardless that the filing deadline is June 15th, interest, currently at the rate of 5% per year, compounded daily, will apply to any payment received after the regular April 17th deadline so for those persons having the extended June 15th deadline, it would be best to pay any expected amount owed no after than April 17th. Nonresident aliens who received income from U.S. sources in 2017 also must determine whether they have a U.S. tax obligation. The filing deadline for nonresident aliens is April 17th. In addition, certain taxpayers may also have to complete and attach to their return Form 8938, Statement of Foreign Financial Assets. Generally, U.S. citizens, resident aliens and certain nonresident aliens must report specified foreign financial assets on this form if the aggregate value of those assets exceeds certain thresholds. Any income received or deductible expenses paid in foreign currency must be reported on a U.S. tax return in U.S. dollars. Likewise, any tax payments must be made in U.S. dollars. Both FinCEN Form 114 and IRS Form 8938 require the use of a December 31st exchange rate for all transactions, regardless of the actual exchange rate on the date of the transaction. The Department Of Treasury publishes rates to use for this purpose which can be accessed here. Taxpayers who relinquished their U.S. citizenship or ceased to be lawful permanent residents of the United States during 2017 must file a dual-status alien return, attaching Form 8854, Initial and Annual Expatriation Statement. A copy of the Form 8854 must also be filed with Internal Revenue Service, Philadelphia, PA 19255-0049, by the due date of the tax return (including extensions). If You Did Not Report Your Offshore Accounts Before 2017, Consider Holding Off On Filing Your 2017 Taxes And Instead File An Extension. Individual taxpayers can file an extension using Form 4868. Extensions can also be filed online, which has the benefit that you’ll receive a confirmation code from the IRS notifying you that your extension was received. Then you should promptly contact tax counsel. Don’t delay because once the IRS has targeted you for investigation – even it’s is a routine random audit – it will be too late voluntarily come forward. Let the tax attorneys at the Law Offices Of Jeffrey B. Kahn, P.C. located in Orange County (Irvine), San Francisco Bay Area (including San Jose and Walnut Creek) and offices elsewhere in California get you set up with a plan that may include being qualified into a voluntary disclosure program to avoid criminal prosecution, seek abatement of penalties, and minimize your tax liability.